A refutation of my own third article on Baptism and Hermeneutics. Jason and the Argonauts is a Greek myth about a young prince who is in search for the Golden Fleece in order to save his mother’s life from a ruthless tyrant. During his voyage, Jason encounters all sorts of obstacles. Some of the obstacles are simply part of the voyage and story, and Zeus, a jealous “god” places some difficult pitfalls in his way, creating havoc for him. Zeus, in this one particular instance, blows a wind of fog around the Argo, Jason’s ship, and they are caught in its dense thickness. Consequently, they hit some rocks and run aground onto an island in the middle of the ocean. They would have never battered the rocks if Zeus had not blown the fog in their direction. But alas, in the story, the fog temporarily blinds them and more adventurous mishaps pursue. I make reference to Jason’s “fog problem” since, in reality, the problem was not the fog, it was a lack of sight. The fog merely blinded Jason to the real issues at hand – the rocks ahead. Theology can sometimes be hidden in a fog, or in philosophical terms; wandering fogs appear as red herrings to distract us. Red herrings are those fallacious interruptions that seem as though they are valid arguments, when all along they cloud the issue (no pun intended.) In my third article I utilized 3 arguments that I placed at the doorstep of the Paedo-Baptist’s theological threshold in order to discredit preliminary thoughts about the manner in which he thinks about Infant Baptism. I was determined to prove that the Paedo-Baptist, the thinking Paedo-Baptist, had 3 presuppositions that consistently surrounded his theological view. And by showing these 3 presuppositions to be false, I would discredit the manner in which the Paedo-Baptist thinks about baptism. Slick eh? We will look at those in a moment to see if they really are slick, or if I just thought so at the time. First, in my third article against Infant Baptism, I acquiesced to the fact that not all of Covenant Theology is wrong. That was very polite of me. 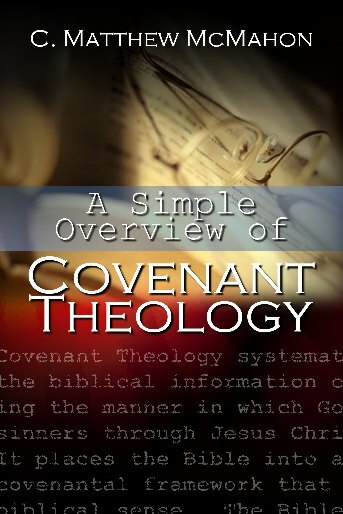 But I made it a point to stress that, “Paedo-Baptistic Covenant Theology derives its ideas of infant baptism from this principle of the “necessary and good inference,” and bases its conclusions on these inferences.” This is erroneous. Covenant Theologians do not simply base their ideas on “good and necessary inference.” They do base their conclusions on necessary and good inference from exegetical work, but not just theological ideas about the text. It was unfair of me to say that Paedo-Baptist Covenant Theology derives its ideas from good and necessary inference in they way I did because it seems like they do this by inference and inference alone. The thinking reader should have dismissed this blunder at the outset. And it is equally absurd to think that most of the history of the church (those who held to Infant Baptism) would immediately be discredited as able-bodied exegetes from my sudden statement. I then used a horrible example of how Paedo-Baptists derive all their theology from good and necessary inference by my “car” illustration. I said that because we drive cars today, then I could deduce that King David drove a car, though I could not prove it from the bible. I then took the idea and applied it to Infant Baptism. Since Paedo-Baptists baptize infants today, they think that the early church did so as well. This is a dim-witted example and a foolish statement to have made. It is certainly an ignoratio elenchi (irrelevant conclusion) par excellance. After this, I showed how good and necessary inference works to our advantage in the Regulative Principle. We should believe the Regulative Principle though it is not stated in the Bible in a concise manner, and we draw good and necessary inference from ideas through the Bible to come to a conclusion about that principle. In other words, I said the Paedo-Baptist was wrong for doing his theology in this manner in reference to baptism (at least in my own thinking about the way he did theology) and then turned right around and applauded certain uses I liked about that kind of theology stated in the Regulative Principle. Talk about inequitable! Now we move onto the presuppositions I mentioned earlier. I had three of them that I thought were “watershed” ideas about Paedo-Baptist theology: “1) though the peripheral and outward ordinance is different (circumcision of the flesh in the Old Testament and water baptism in the New Testament) the meaning is the same. Though the sign changes, the intention of God behind the sign does not. 2) If the children of believers were included in the poorer, more beggarly dispensation of the covenant, i.e. 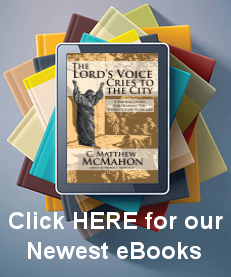 the Old Testament, how could they then be excluded from the richer, more extravagant new covenant in the New Testament under the abundant grace of Jesus Christ? 3) Paedo-Baptists believe that the infants baptized are under the grace of Christ, and are saved, and should be treated as such.” It is important to note at the outset that as a Paedo-Baptist I do not hold these three ideas as evidences of good and necessary inference, nor do I think they are the three things that every Paedo-Baptist is thinking about in relation to Infant Baptism. As a Baptist, how did I come to this inside information concerning the minds of all Paedo-Baptists? A former Paedo-Baptist who switched to Credo-Baptism thought this way and believed, sincerely, that all Paedo-Baptists thought that way. This is not true and not accurate even from a causal glance at varied Paedo-Baptistic systematic theology books. Shame on me for asserting such ideas based on misinformation. The second presupposition is nonsense. To use semantic word games is not helpful in theology. We have enough of that going around evangelicalism today and should stop burdening people with such mish-mash as quickly as possible. Unfortunately, good theologians, like the late John Gerstner, used this in his argumentation for Infant Baptism. This is a not the manner in which Reformed theology should argue the point at all. As a matter of fact, I personally like to stay as far as I can from non sequitirs like this when arguing. Rather, emotionally based arguments like this one, which appeal to the parents of infants and not back to exegetical work, are not supportive. However, it should be said that this line of thought is not the foremost mindset of Paedo-Baptists in general. When I reflect about the foundational truths surrounding the baptism of infants, I am not thinking about this argumentation at all. Thirdly, the final presupposition that I said “all” Paedo-Baptists hold to is that they “believe that the infants baptized are under the grace of Christ, and are saved, and should be treated as such.” This is also an extreme form of Baptistic nonsense. No Reformed Paedo-Baptist who is worth their weight believes that the moment infants are baptized that they are saved. This is often confusing to Baptists because the Paedo-Baptist will say that the child is in the covenant of grace, though not saved. Although this requires explanation, my intent at this point is to simply rid us all of the idea that children, when baptized, are saved. Paedo-Baptists do not believe in Baptismal Regeneration. However, the reader must be made aware that there are factions out there, many of which are Hypercalvinist in their approach to the Bible, that do believe infants are saved when they are baptized. This is not the norm, and should not be thought of as the norm. Orthodox Paedo-Baptists believe that the baptized infants of believing parents (or one believing parent) are baptized into the covenant, but not saved. Paedo-Baptists do not believe that the covenant of grace is coextensive with salvation – another point to be taken upon later that is often confusing for Baptists to hear. Yet, Baptists should take the time to understand why Paedo-Baptists do not believe that salvation is coextensive with the covenant of grace seen in both the Old Testament and New Testament. This hurdle is a milestone to climb and conquer, but is well worth the time to understand. Then, and only then, will the Baptist understand why the Paedo-Baptist believes that important point. After making mention of these three presuppositions that I said were watershed ideas for the Paedo-Baptist (though they are not) I next demonstrated on how the New Testament was more spiritual than the Old Testament. I quote Jeremiah 31 as my ultimate proof text, again reiterated in the New Testament in Hebrews 8, to ensure my readers that the New Covenant is just that, “new.” After reading through that paragraph I confused myself. First I said Old Testament believers are saved in the same manner (by faith in the Messiah) as New Testament believers, but then I said that the Old Testament was external in its spirituality unlike the New Testament that is internal. This makes little sense to the thinking reader. I then made this statement as a summary, “Thus, the meaning behind circumcision (inclusion in the camp) and regeneration (inclusion in the invisible church) are totally different.” This is another one of those “hogwash” statements. (That’s a fancy theological term for things that are Biblically erroneous.) This demonstrates that I did not understand the meaning behind circumcision or baptism. Both circumcision and baptism are signs and seals of the reality of regeneration, though those circumcised or baptized are not necessarily regenerated. (This will be taken up later on its own in a more complete article.) As it stands now, I simply want to draw your attention to the fact that I really did not understand the Paedo-Baptist position as I had previously thought. My statements prove this out easily. I concluded my third article by asserting the following summary point, “Baptism is the outward sign of the inward change. Circumcision is the outward acceptance of a nation-state obeying the commandments of God to be included in the external covenant of God’s redemptive plan. These are not the same things at all.” What do I mean, “circumcision is the outward acceptance of a nation-state?” This is certainly not what Abraham believed it to mean. And when Isaac took the knife and had Esau circumcised, there was no nation state to speak of – but unregenerate, reprobate Esau was circumcised nonetheless. This is a very misconstrued sentence to use as a summary statement, in my opinion. It certainly makes no sense to me now, and seems as though affluent oratory took the place of exegesis. However, I did, at the very end of the article mention that I had not “yet” done any exegetical work in particular, and such explanations exegetically would come at a later time. I created a safe house with those words so that critics (like myself now) would not tear my article to shreds. I was simply attempting to shock the Paedo-Baptist into thinking about his position more clearly, though I was befuddling him with my misconstrued ideas about what I thought he believed. Really what I did was to fog up the issues quite nicely. These presuppositions are not the foundation of the Paedo-Baptists’ ideas concerning Infant Baptism. They are misunderstood formulations of Baptistic interpretations about Paedo-Baptistic theology. Lastly, I stated, “We will later discuss some other key concepts of the Paedo-Baptists which flow out of their deductions.” I believed everything the Paedo-Baptist thought concerning Infant Baptism was formulated around deductions. 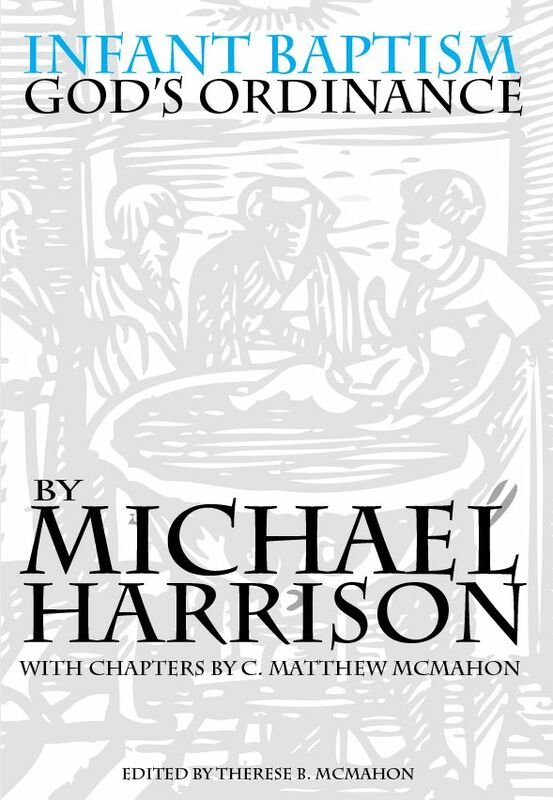 As we all know, there is no text in the New Testament that states, “Baptize infants of believing parents.” But what I failed to recognize is that there is no statement that says, “Baptized professing believers after they have believed and repented.” Both Credo and Infant Baptism both, to varied extents, rest on deductive logic from each camp’s exegetical work. I seemed to have placed “good and necessary inference” at the Paedo-Baptists’ door without realizing that it is just as much at the foot of the Baptistic threshold as I though it was for them.